White is easily one of the least loved colours when it comes to Indian fashion thanks to the superstitions and myths associated with the colour. 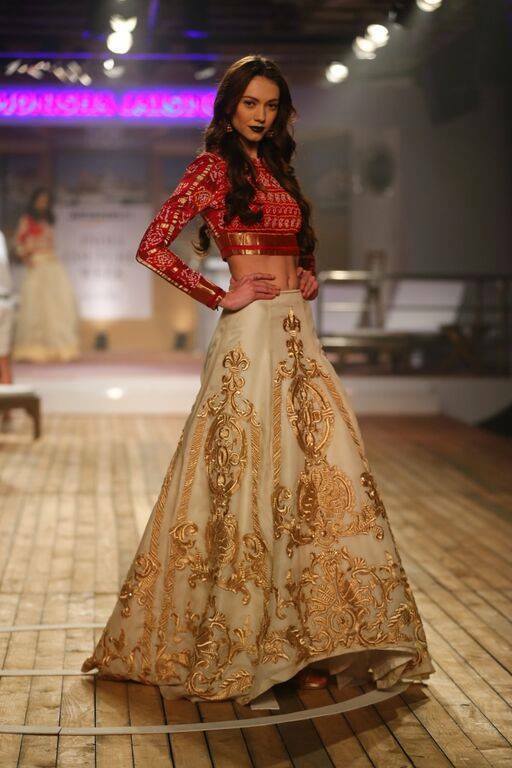 But if you ask us, we gotta tell you, we love white in Indian wear! 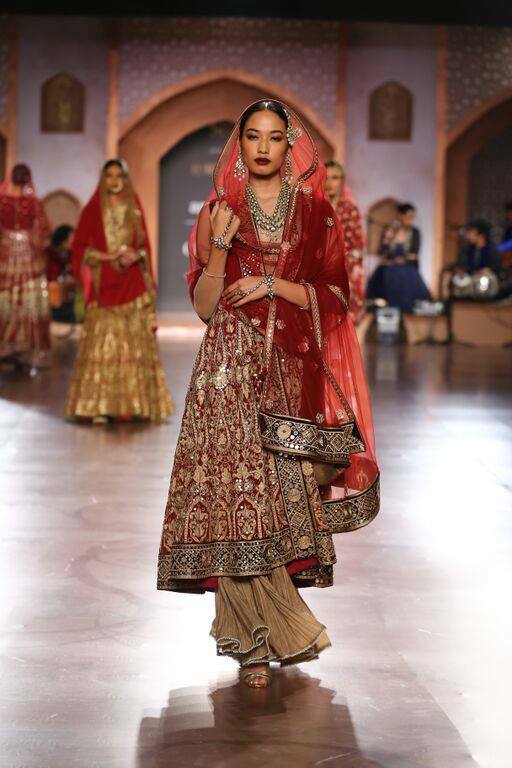 White Indian outfits often look ethereal and so dream like! 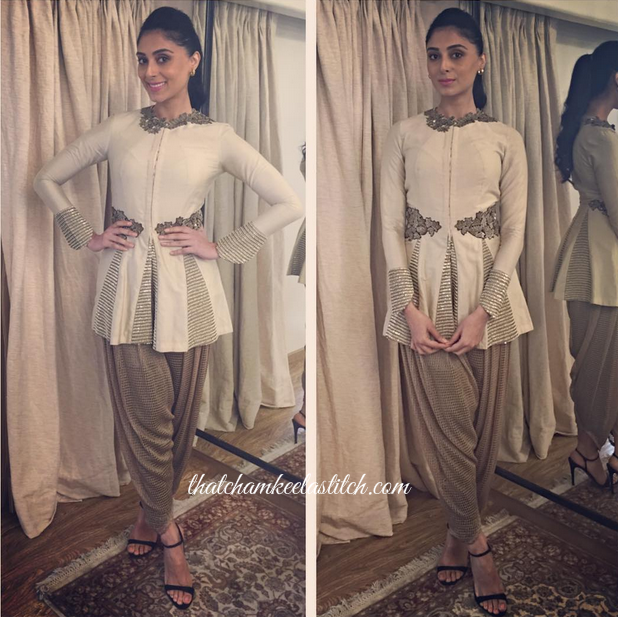 We rounded up 5 white Indian outfit looks that the ladies from Bollywood pulled off beautifully! She looks like royalty, doesn’t she? 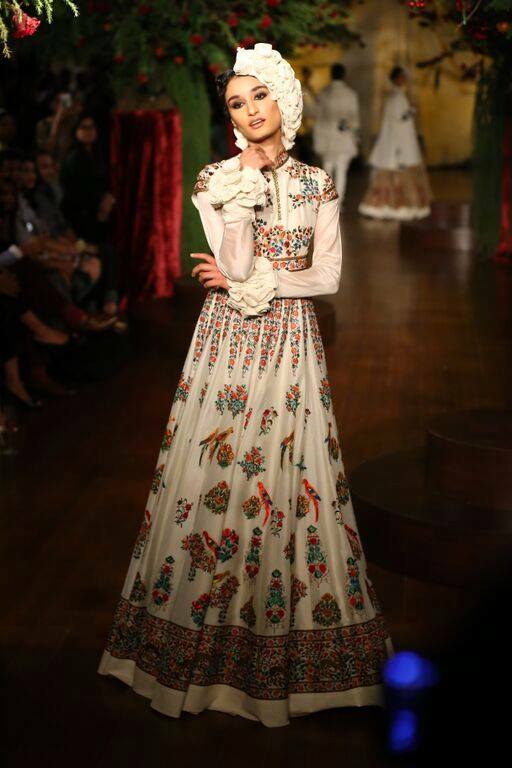 Loving the elegant white anarkali! 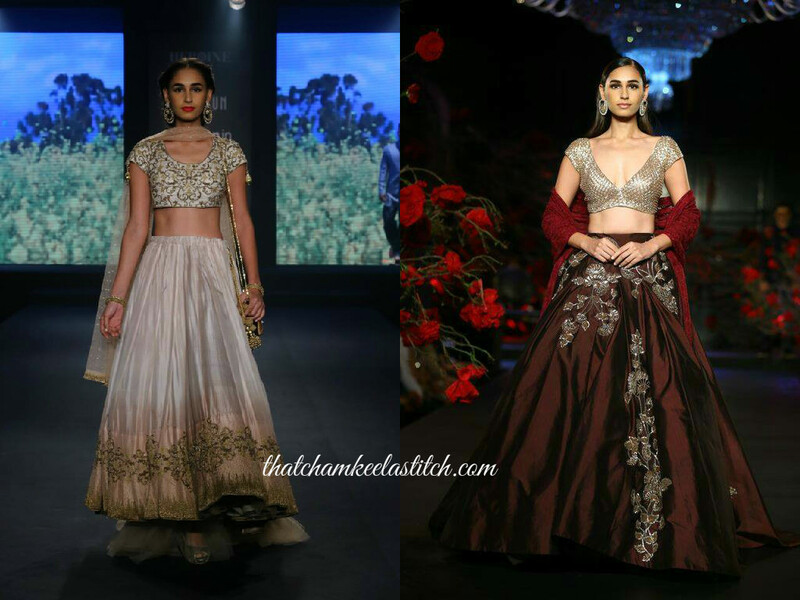 We love the fact that the choli is contemporary, almost like a crop top, and the lehenga and dupatta are traditionally ethnic. 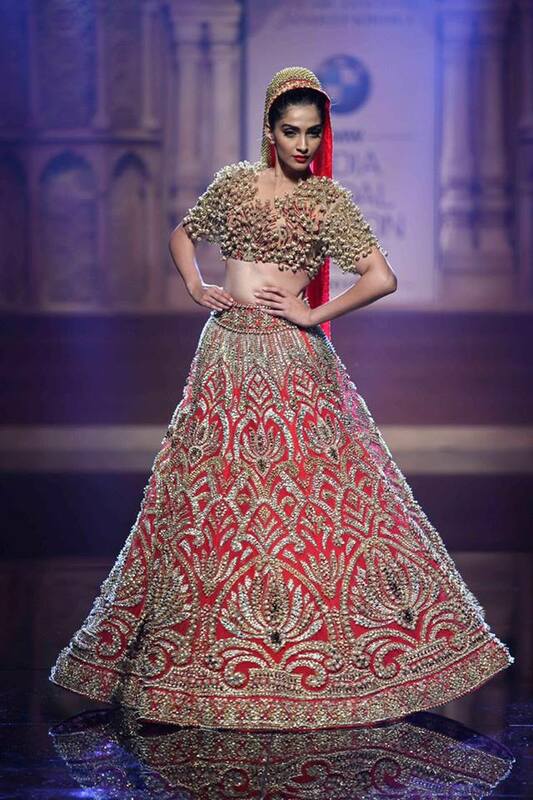 Gives an edge to the lehenga. 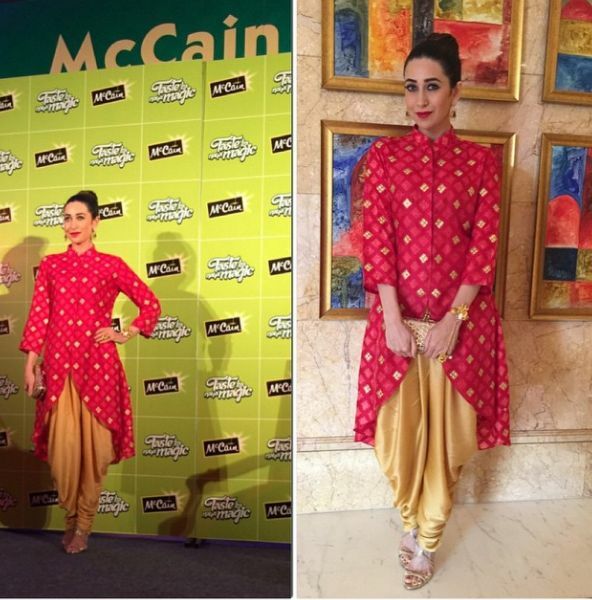 Dia Mirza often sticks to classic in Indian wear and we’re not complaining. She looks like a vision in white! 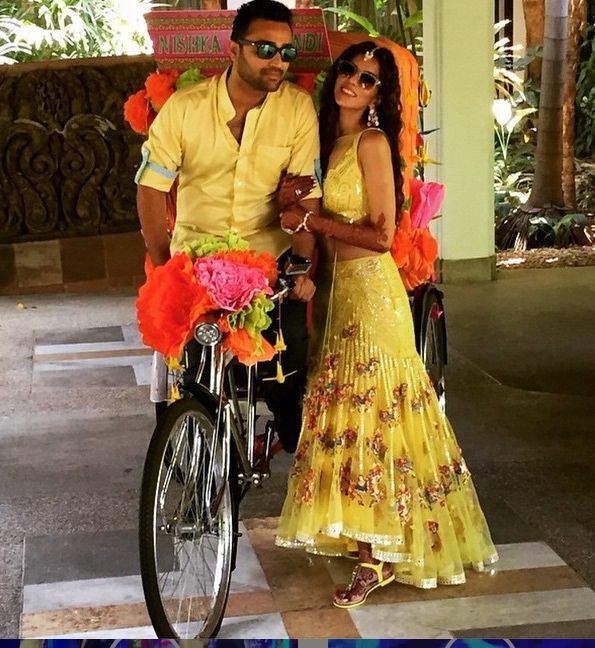 Simple, chic and young, we’re totally crushing on Athiya’s lehenga! 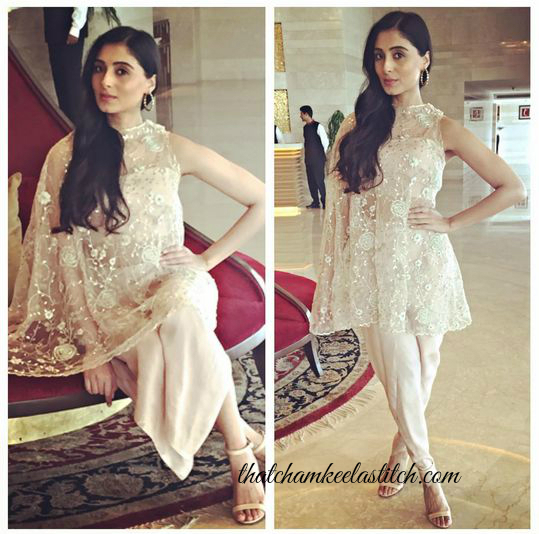 Keeping it light and breeze, Sonam’s look here is absolute perfection! When you are a sister or best friend of the bride or groom, there is no better thing for the wedding wardrobe because you literally have the pass to be the next best dressed after the bride herself! If you want to go for a more traditional silhouette, but still want to play up on the drama, here’s how to do it! 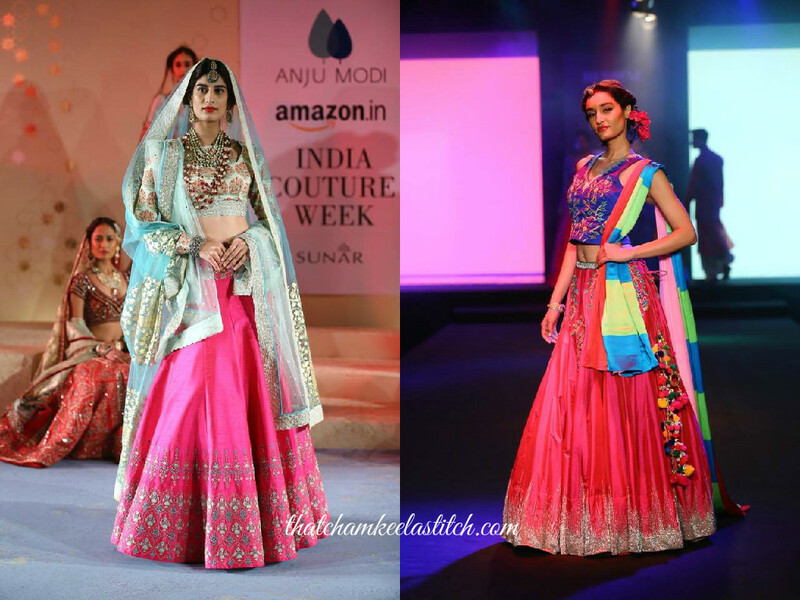 You can either play up with colours and a fabric heavy lehengas, or lehengas which have work done on them, but smartly and minimally. 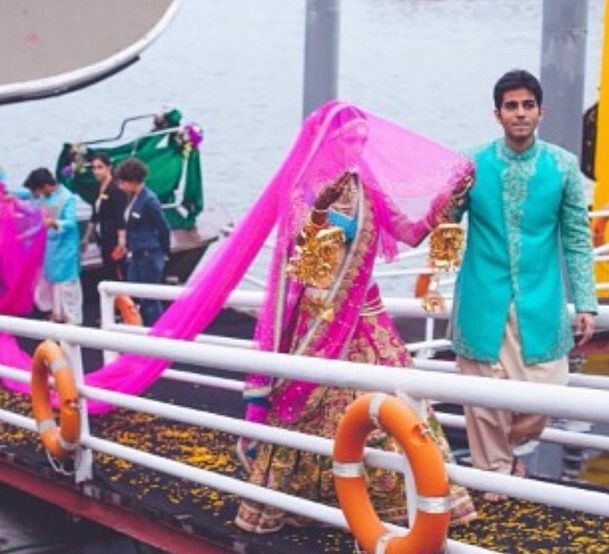 if you do want to go all out, we recommend keeping the colour non bridal and adding a touch of non-traditionalness to the outfit, like Manish Malhotra does with the lehenga below. 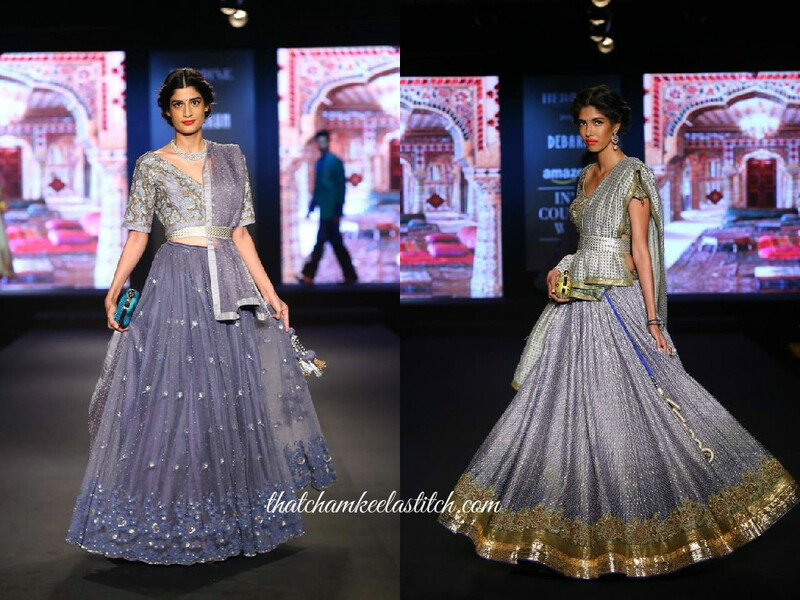 But if you really don’t want the bling, but still want to look wedding-worthy, Manish Malhotra shows us how, again! The flare of the skirt below more than makes up for the minimal work on it. 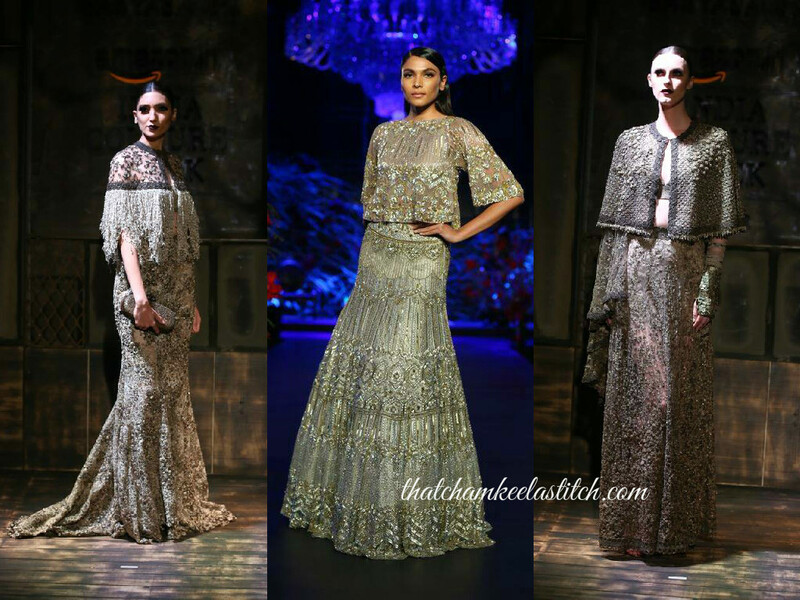 The wedding is also the perfect time to experiment with new trends and silhouettes and the current favourite is the cape! 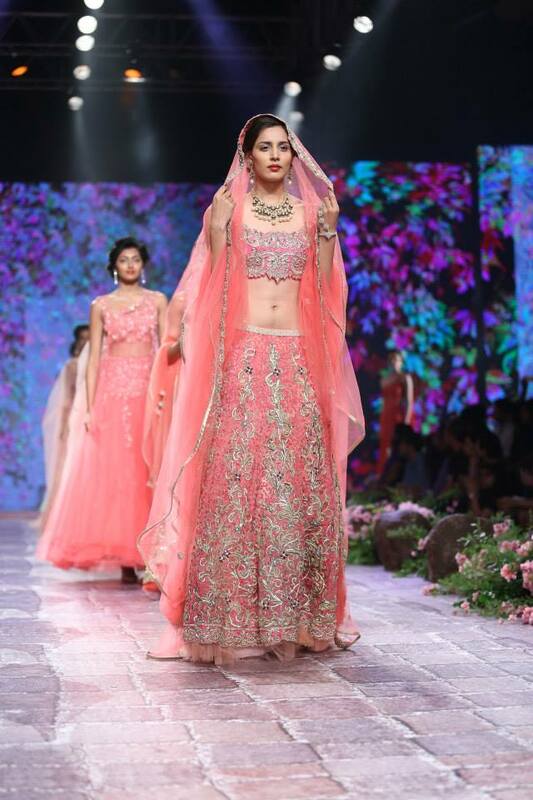 Crop tops are also quite the rage and designers have been pairing them with slimmer lehengas. Super chic vibes. 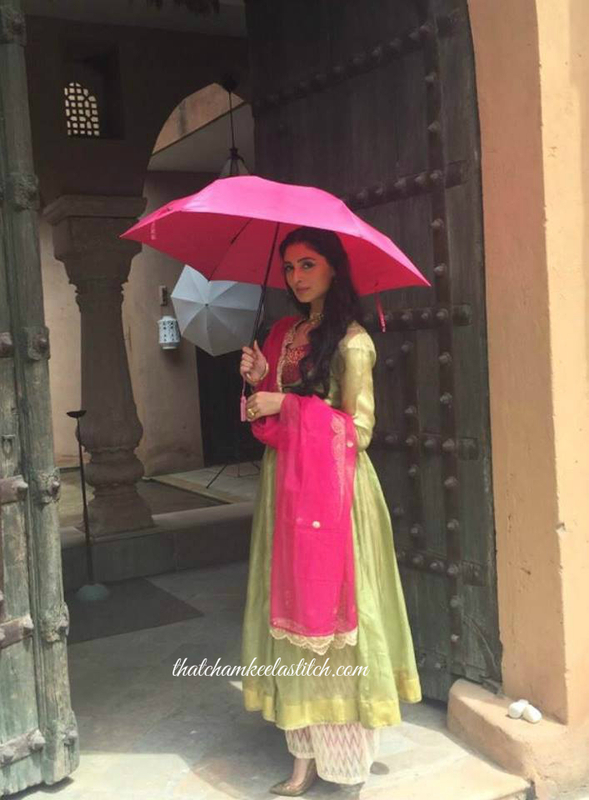 And last but not the least, you know those floor length anarkalis and jacket lehengas always have your back! 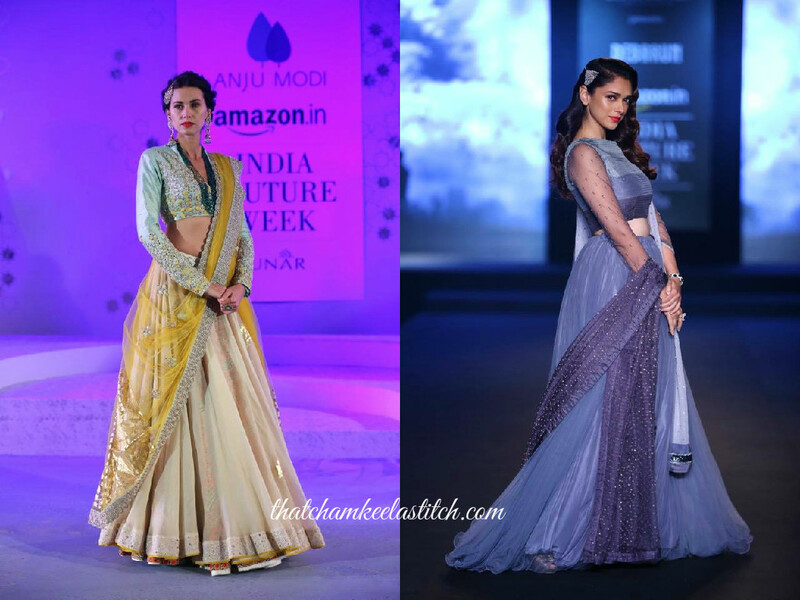 After picking out the best Mehendi and Sangeet outfits for the bride from Amazon India Couture Week 2015 (read here), we come to the big guns for any bride – the wedding and reception! 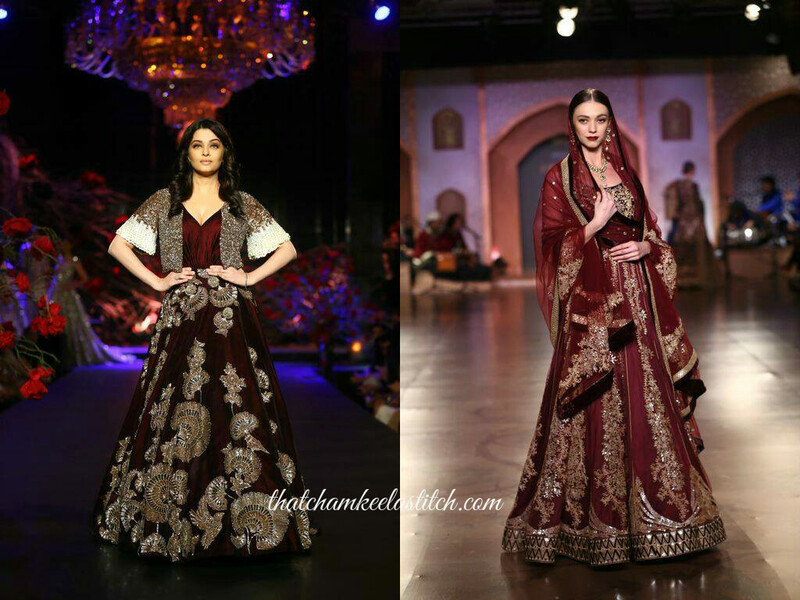 If you are the one who wants to go regal, classic, and every bit bridal, these maroon and gold bridal lehengas would be just your things! And if you love the regular bridal colours, but want to keep it a little lighter, these ones below are the ones for you! 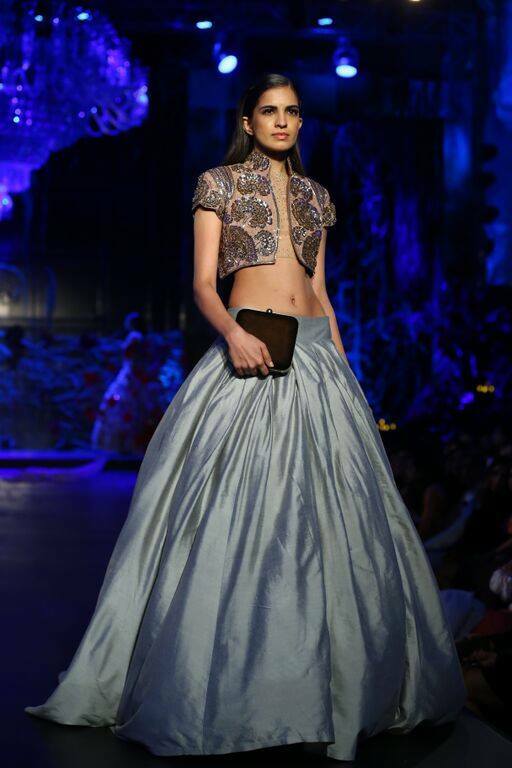 If you are looking for something more on the unusual note, these lehengas by Monisha Jaising might be your cup of tea. 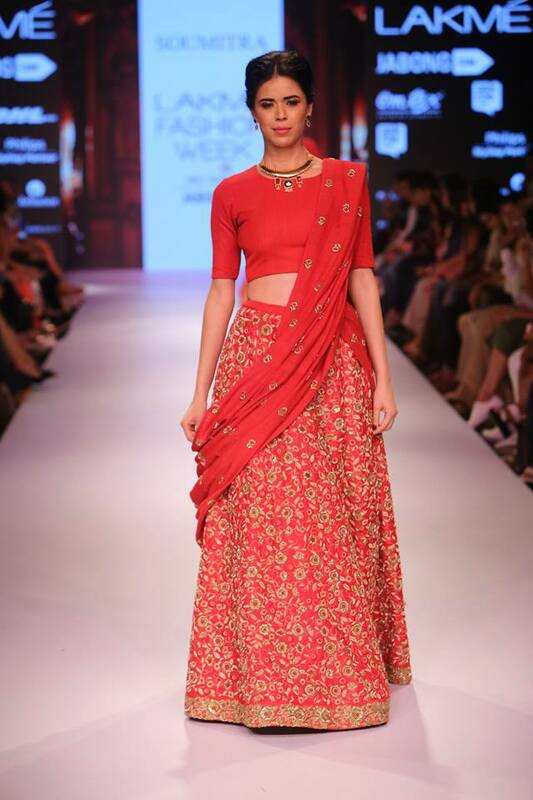 We’re also blown away by this beautiful, red, floral lehenga with a short jacket by Anju Modi! 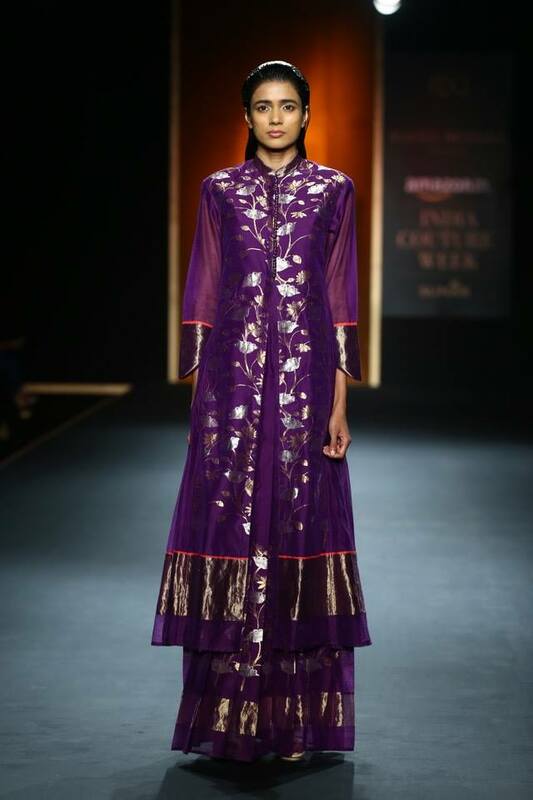 And this Reynu Taandon Palazzo-Anarkali suit would be quite be quite a chic pick for Punjabi brides! 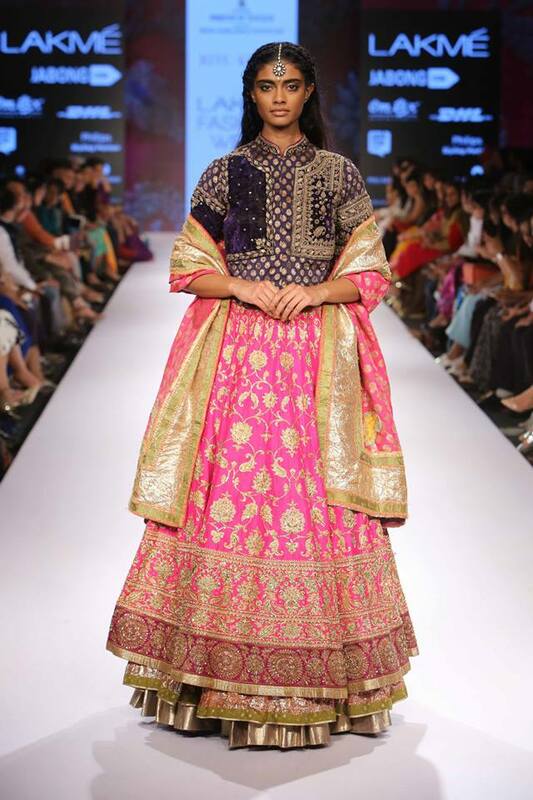 If you still want to go traditional lehengas, these jacket lehengas are our pick. 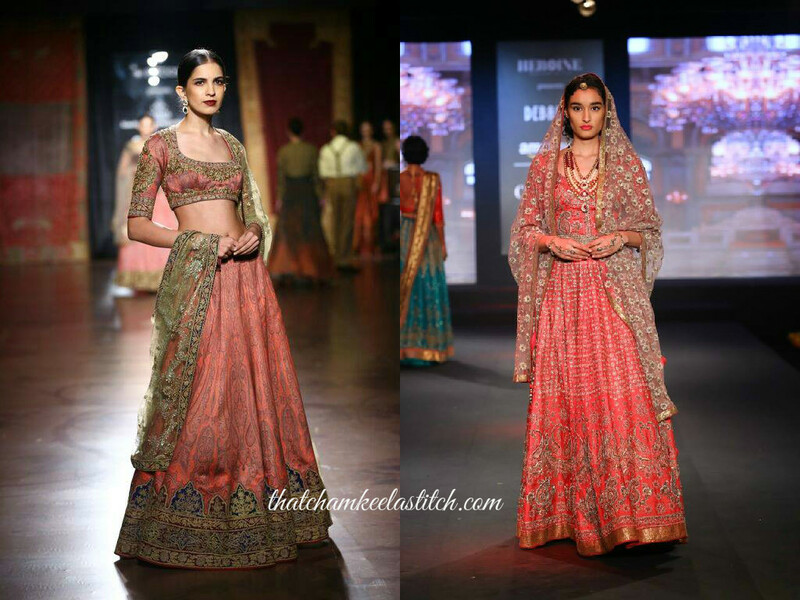 And for those who want to retain the bridal-ness but want at the same time, break away from it, these lehengas offer the best of both the worlds. The work is traditional but the understated colours make for a refreshing change. 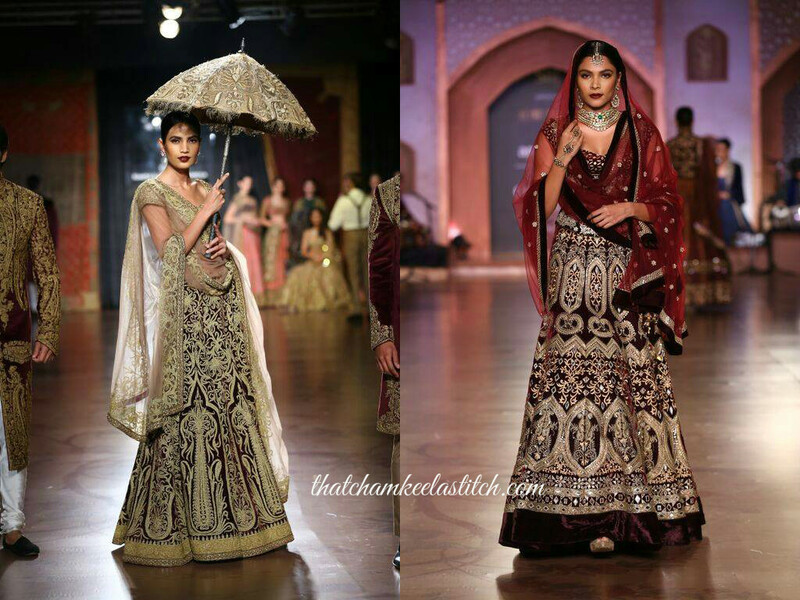 Annnnnd finally, we’re ending on a dramatic and super glamourous note with Sabyasachi and Manish Malhotra. These men really know how to work the bling. SO MANY FASHION WEEKS! So many drool worthy outfits coming your way!! 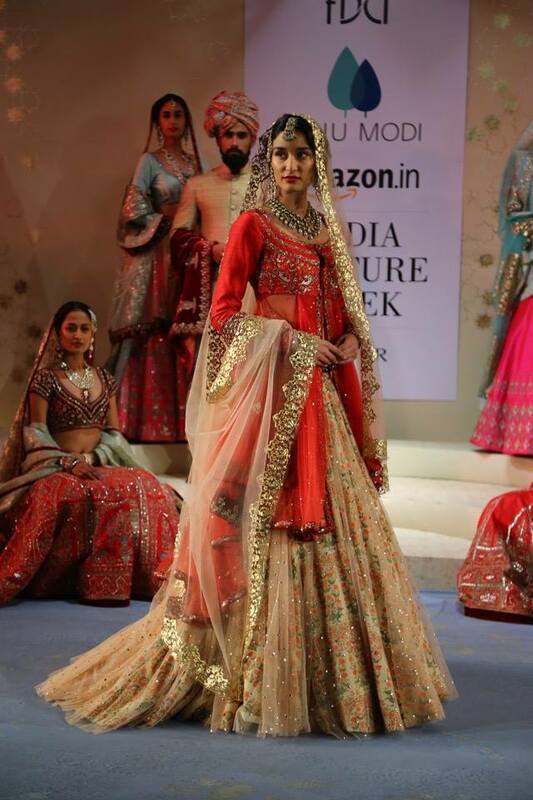 Starting with the Amazon India Couture Week 2015, we’ll begin with our picks for Mehendi and Sangeet outfitsfor the bride! 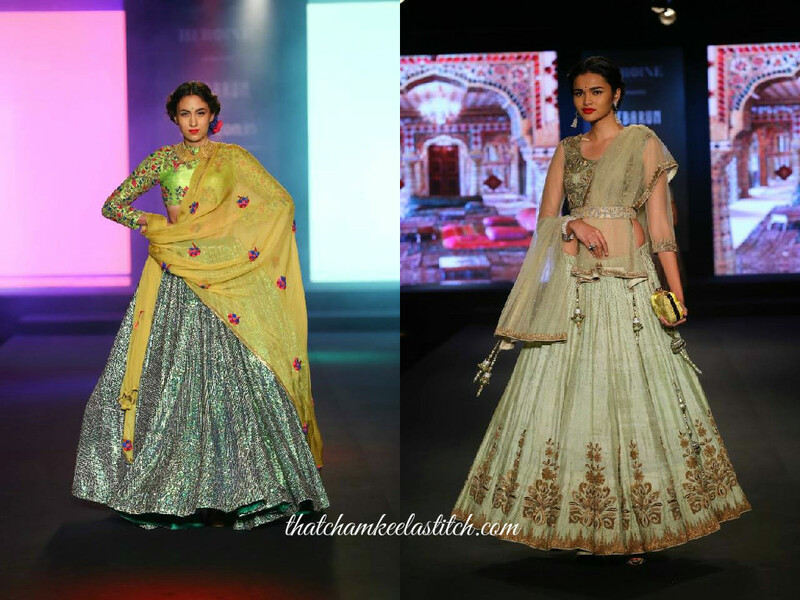 If you are a bride who loves her lehengas, opt for simple, yet vibrant lehengas. 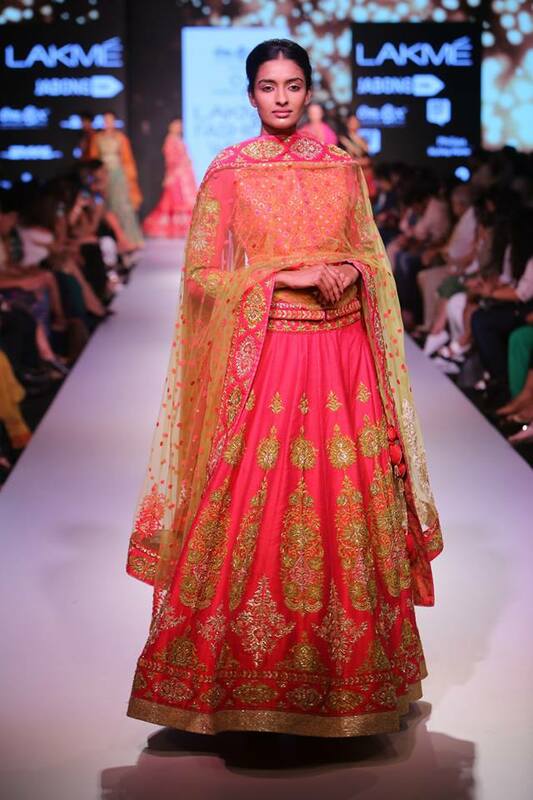 Let the colour and the silhouette do the talking and keep the embroideries to minimum. 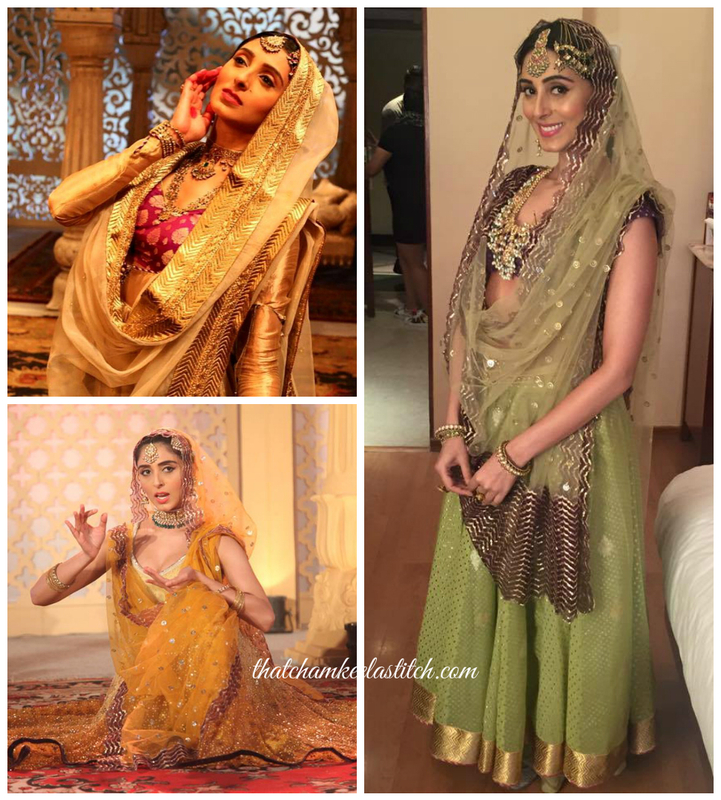 We loved the classic Anju Modi lehenga and the fun, colourful lehenga from Debarun by Heroine. 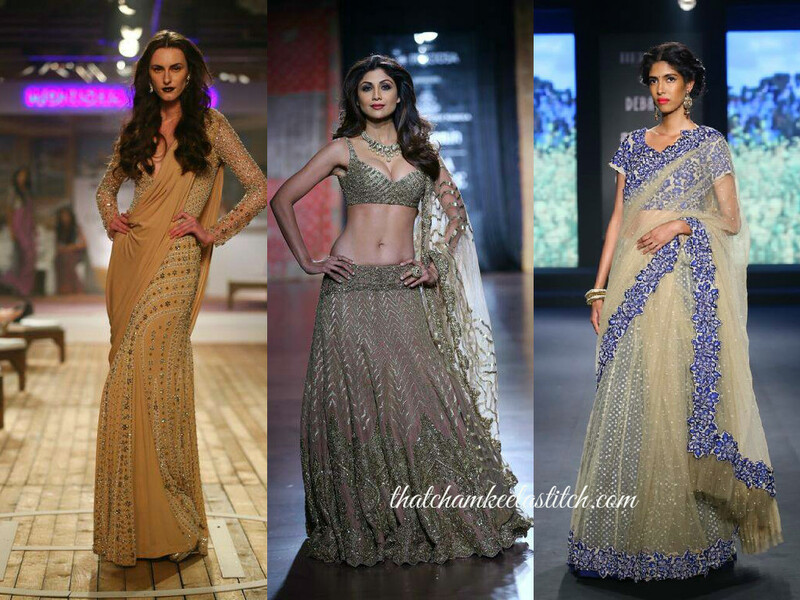 The Debarun collection by Heroine really caught our eyes. 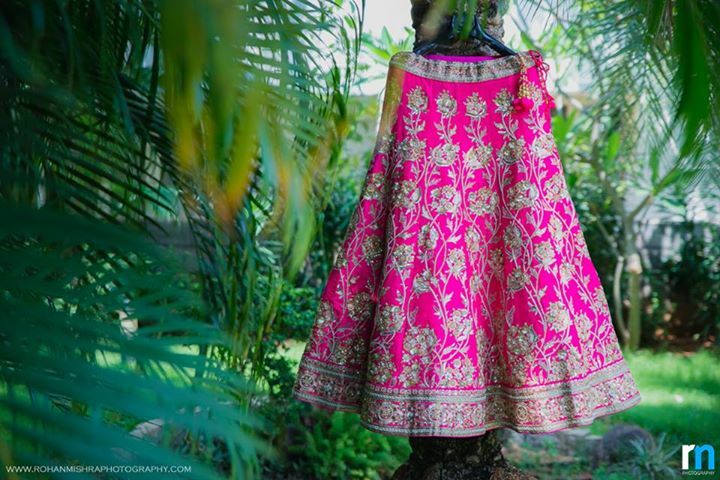 They had beautiful lehengas, and it almost seemed like they have something for every bride! 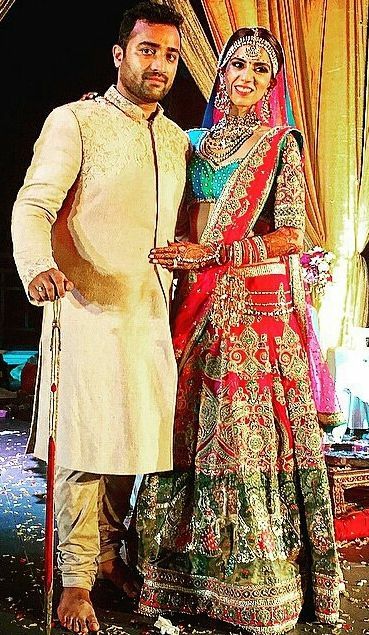 For the brides who want to really step up their game (Come on, a wedding only happens once), this Rimple and Harpreet Narula lehenga took our breath away! 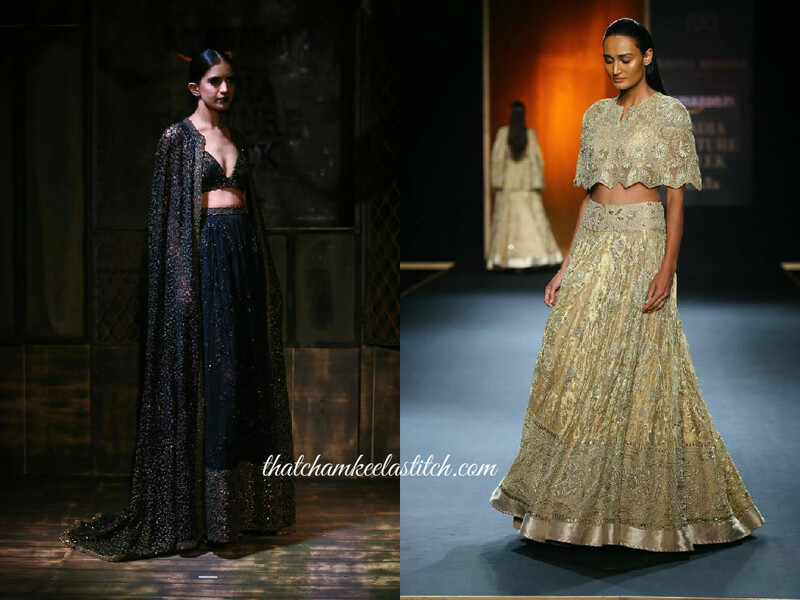 And for the brides who want to take this opportunity to wear something spectacular, but different, these Gaurav Gupta and Sabyaschi lehengas (sort of?) would be our picks! 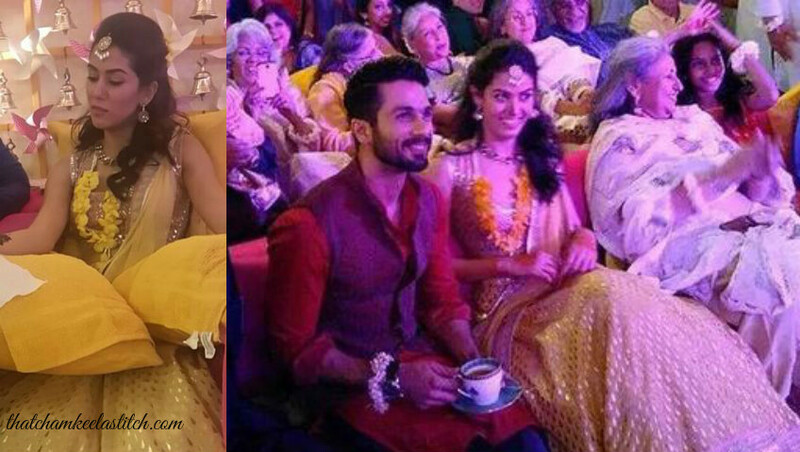 Shahid Kapoor & Mira Rajput’s Wedding! 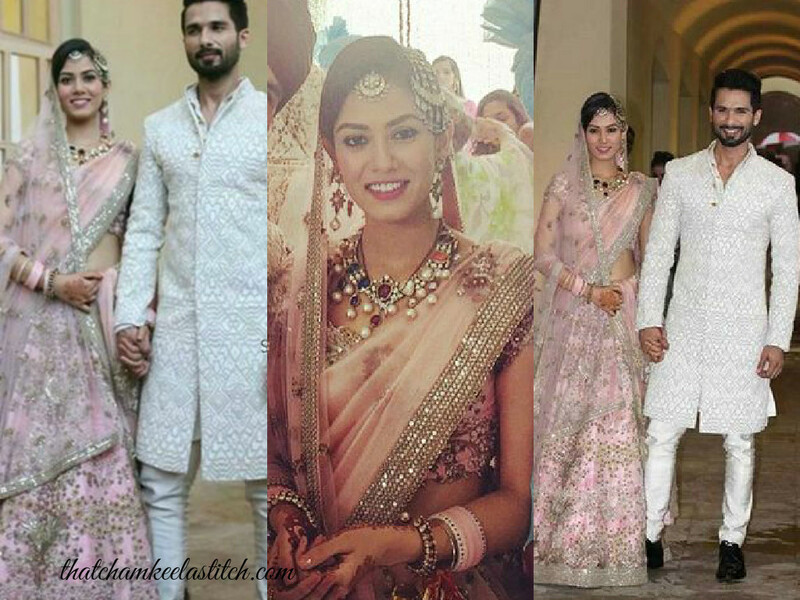 Shahid Kapoor has tied the knot with Mira Rajput and we at That Chamkeela Stitch are lusting over his pretty bride’s outfits! 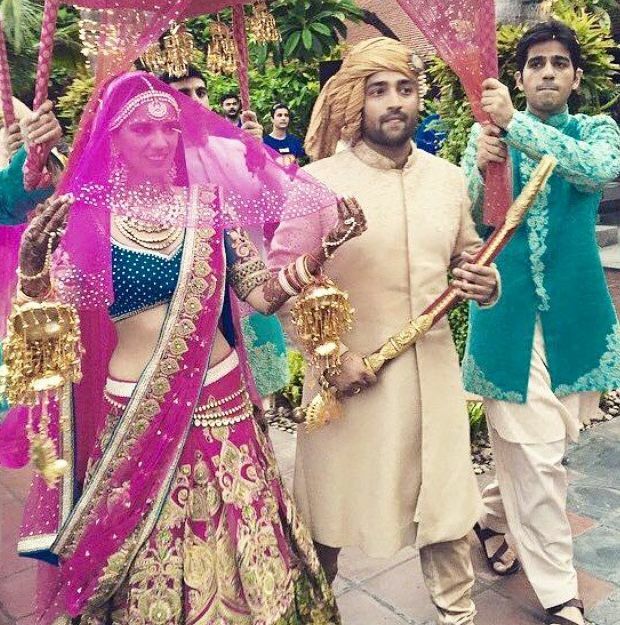 For the Mehendi/Sangeet, she wore a beautiful, yellow Anita Dongre lehenga. We love the big ghera! 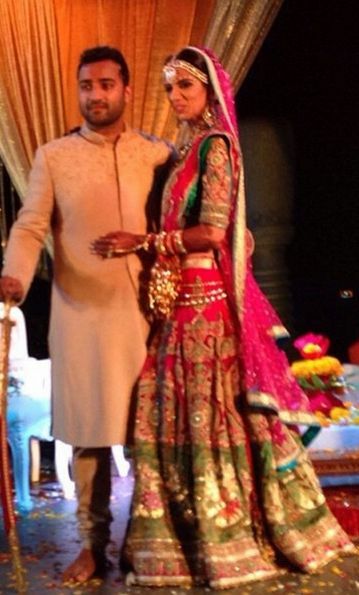 Coming to the wedding, we first came across this picture, which looks to be pooja, where it looks like she’s wearing a choodidar suit. 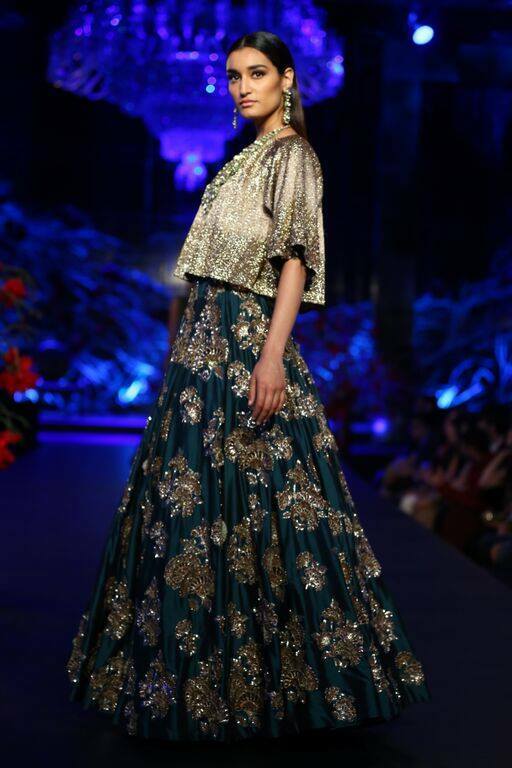 We love the shade of green on the chudidaar. 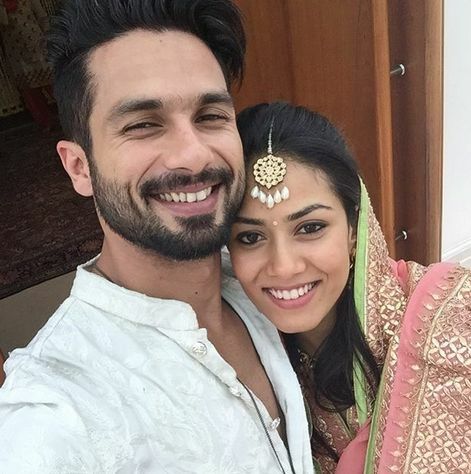 Shahid then uploaded a pic of him and Mira on his Instagram account. 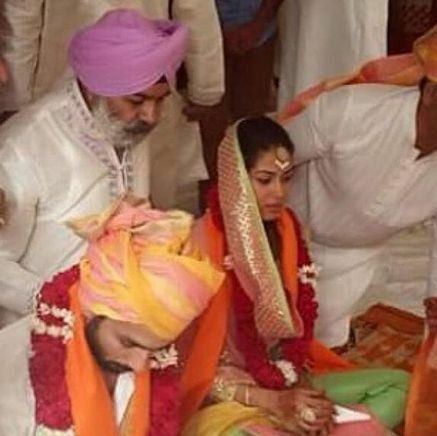 Look at that gotta patti work on her dupatta! 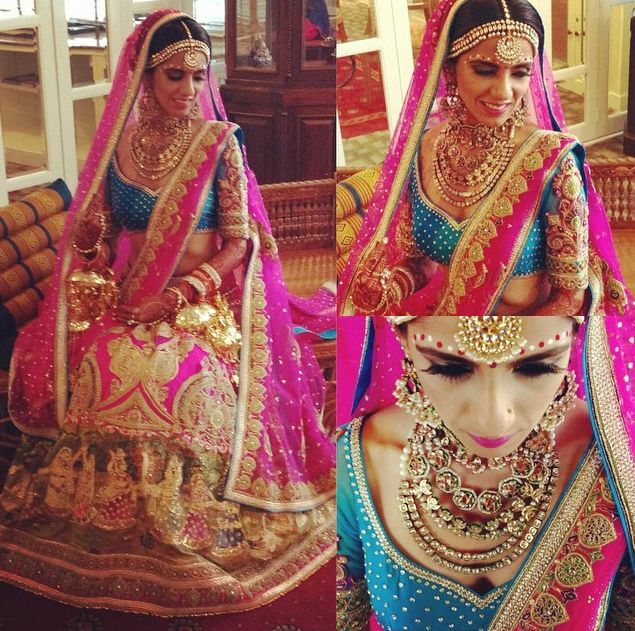 For the reception that followed the wedding she wore a stunning pink lehenga that is absolutely gorgeous! Let’s be honest, 90% of the times, Indian fusion clothes just don’t work. 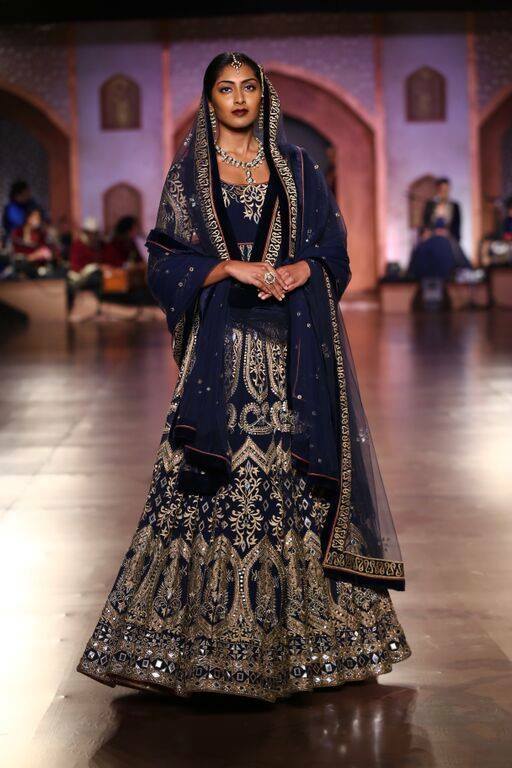 When it comes to Indian clothes, classic is often the route to go, in terms of silhouettes especially. But Karisma Kapoor is an exception. 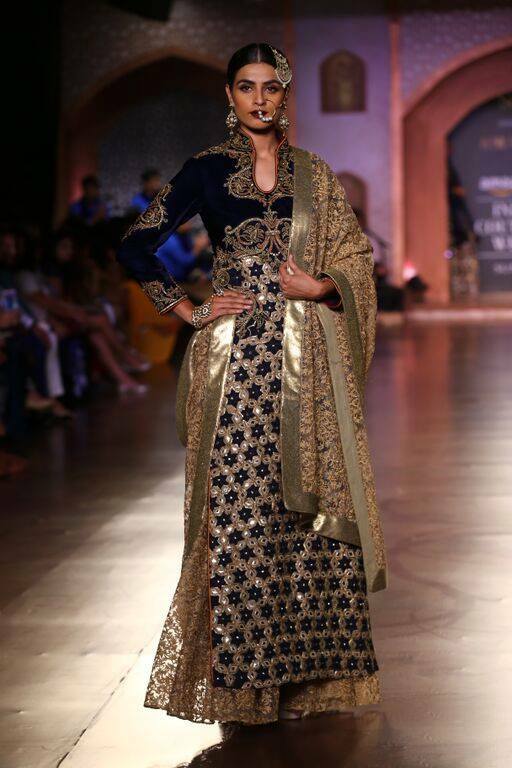 She has given us several Indian looks which are unusual silhouettes and she carries them off super well. We’re bringing you a few of these looks. We start with one of the most recent look. 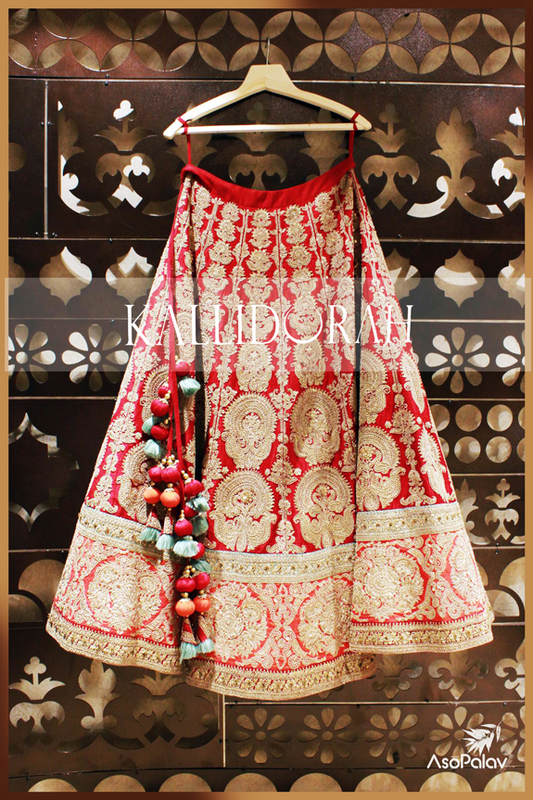 A peplum style inspired kurta with patiala salwar. 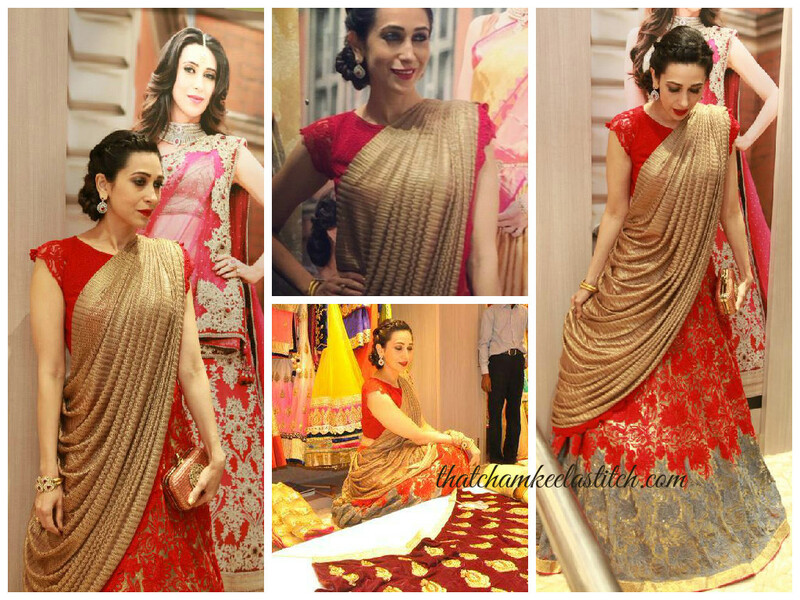 On most people, this look would have been a little too weird, but Karisma Kapoor really works this outfit. Also, it was a smart move by the designer to keep the colours more neutral rather than using bright colours that we often associate with Indian fashion. It helps balance the outfit. 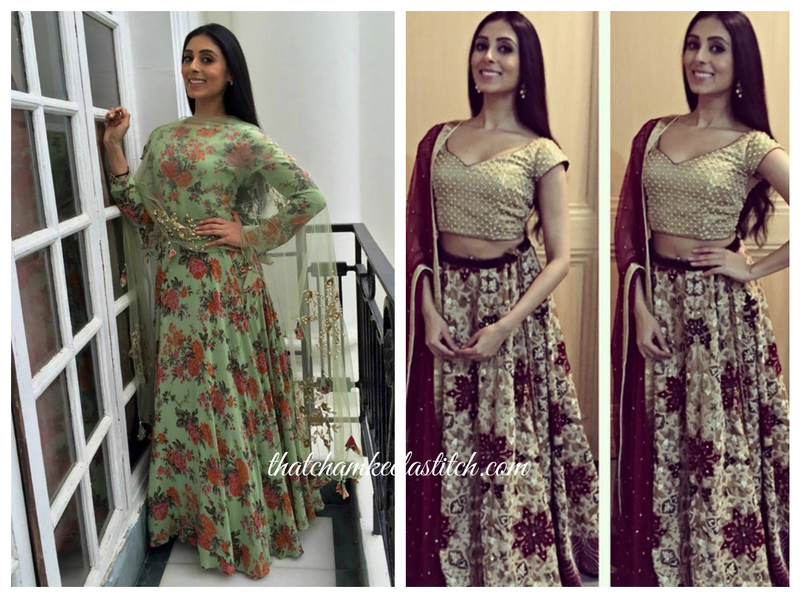 At another promotional event, the actress went with a patiala suit again, but this time with a slightly different silhouette for the salwaar with a high low kurta. The look is so well put together, especially with the top bun! 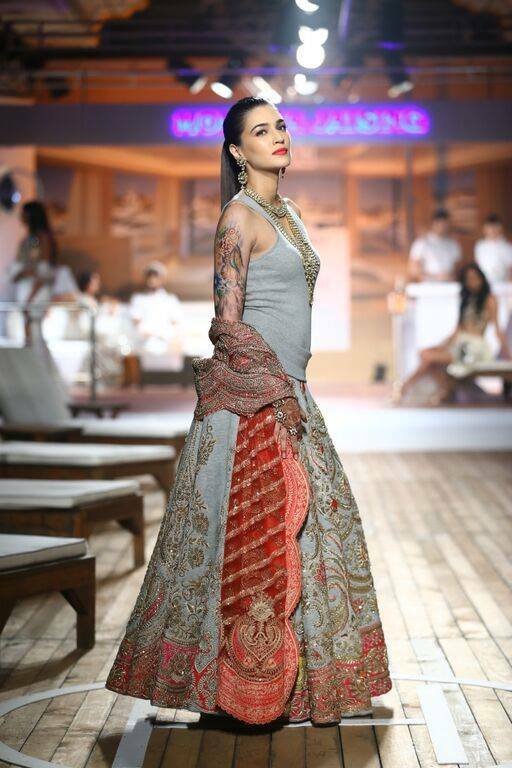 The next look is one that’s super hard to pull off, but the Kapoor lady looks super chic! 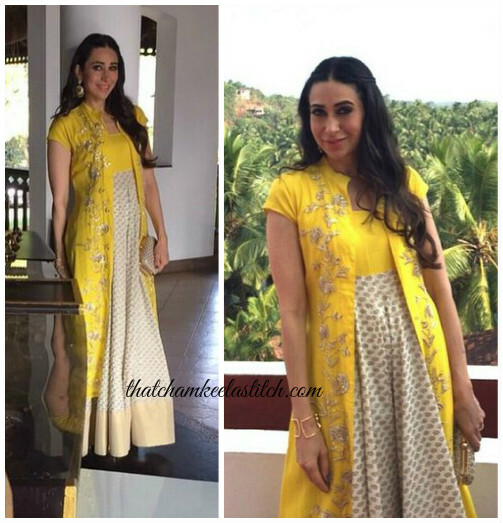 Karisma didn’t overlook the good ol’ anarkali either. 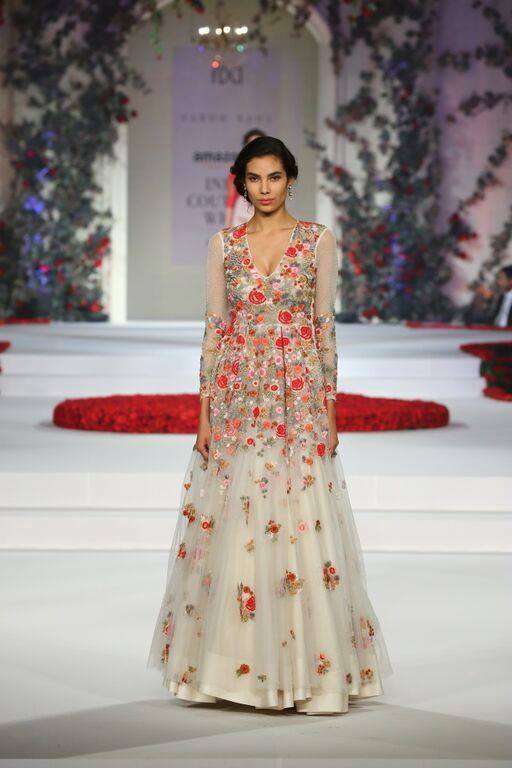 Here she wears a classic floor length anarkali but mixes things up by adding a long, embroidered jacket. 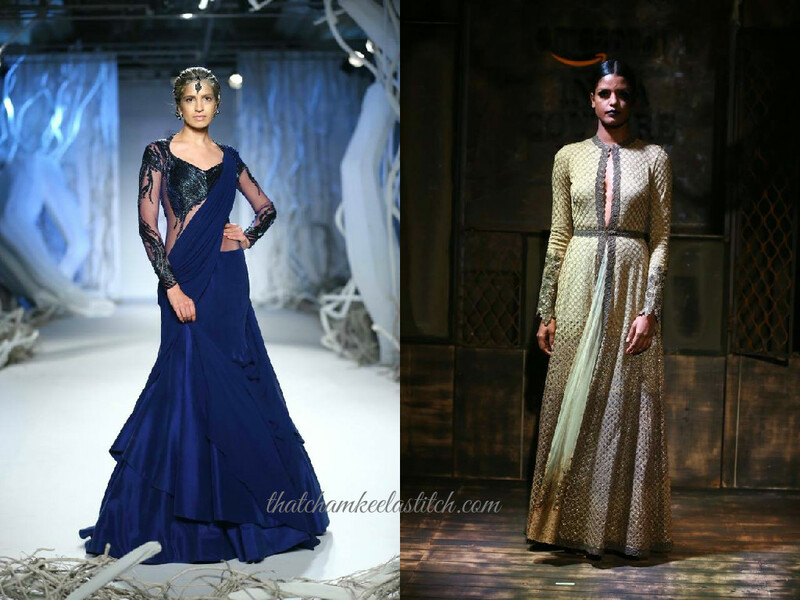 When it comes to saree silhouettes, it was two looks that really stood out for us! 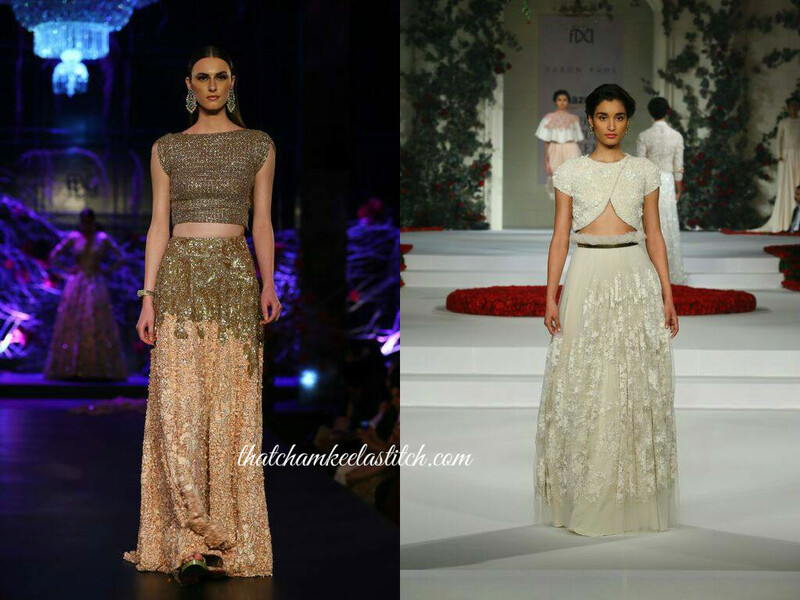 The first one below is what she wore at Anamika Khanna’s recent show. 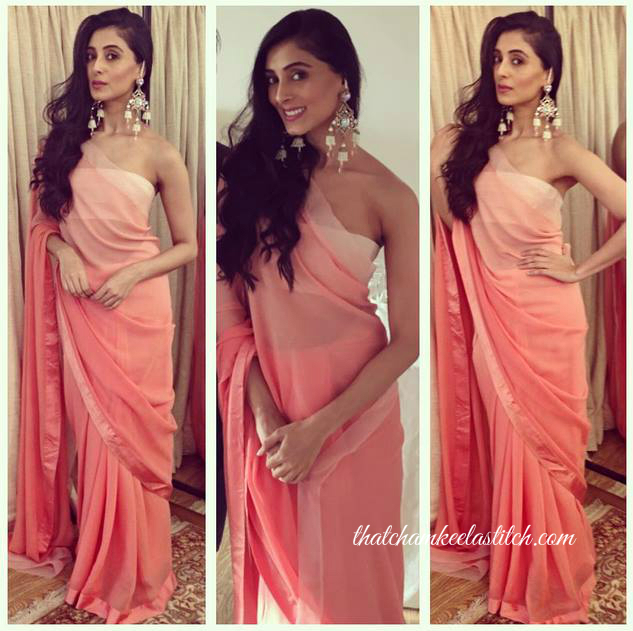 And the second one was more of a lehenga saree, but she kept things interesting with an unusual drape which would have looked sloppy on most people, but obviously not her! 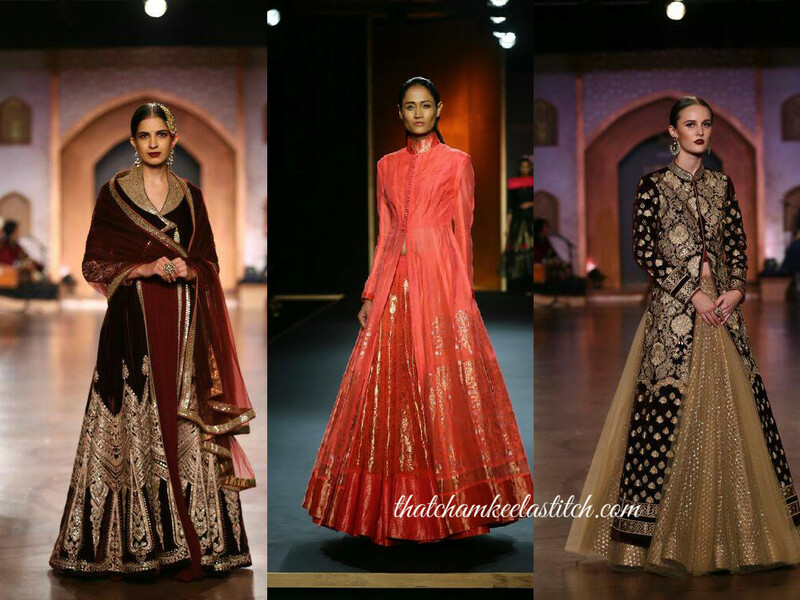 Here’s a major lesson we learnt: When it comes to down unusual silhouettes or styles while wearing Indian outfits, styling is really, really important and that’s what really takes each of these looks a notch higher!